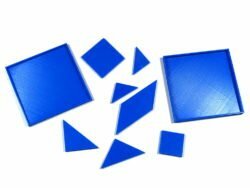 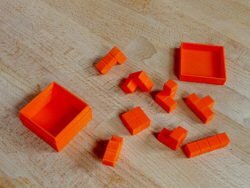 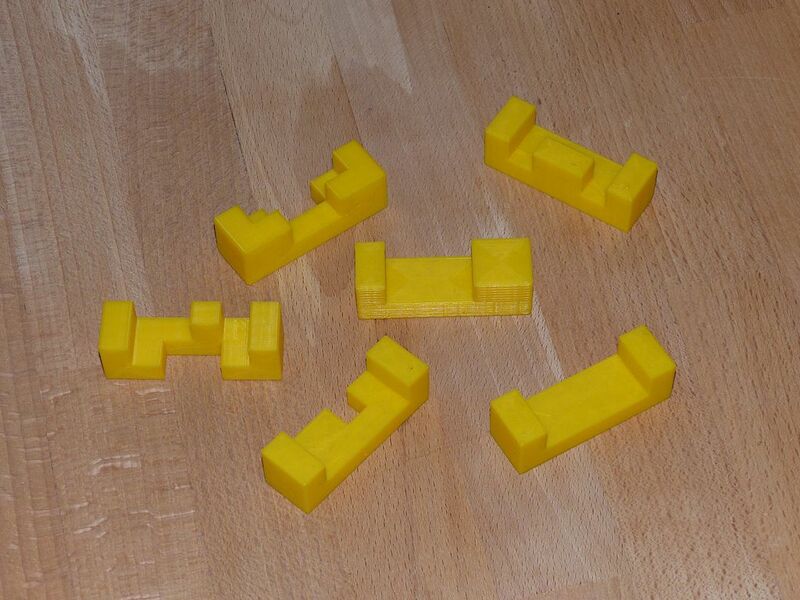 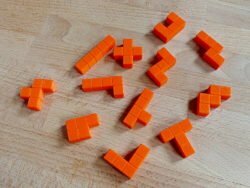 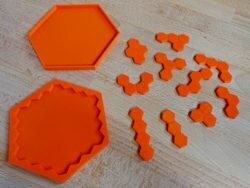 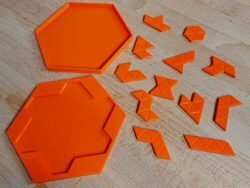 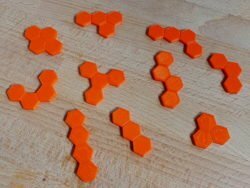 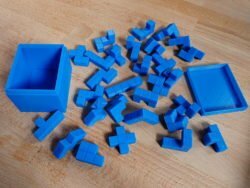 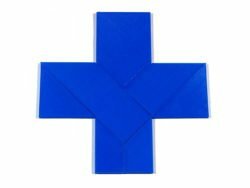 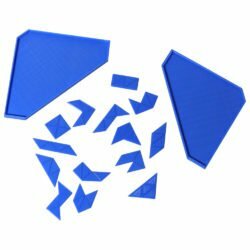 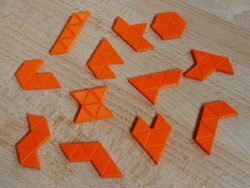 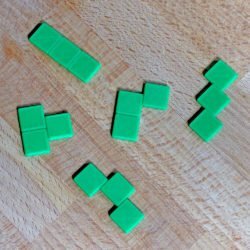 For the production of the game pieces on a 3D printer you will find links to the print templates here. 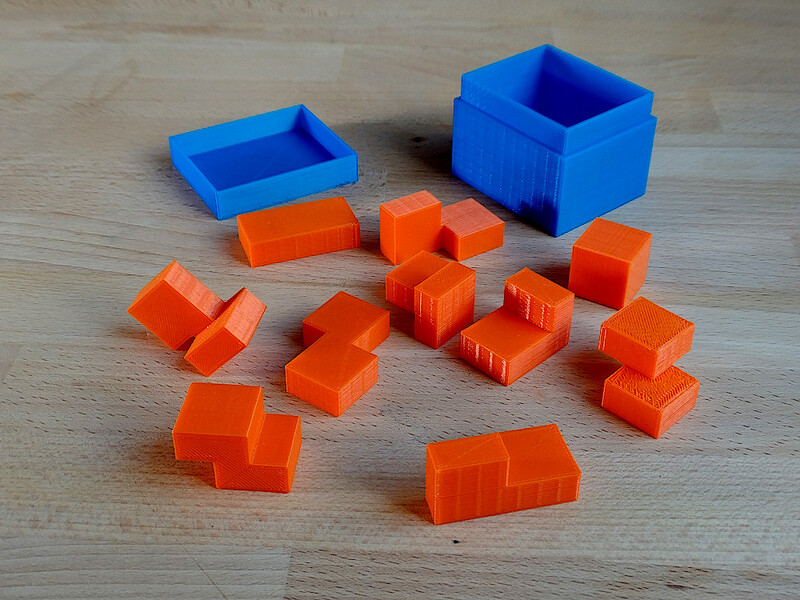 The buttons lead to the corresponding pages of Thingiverse, where the templates are available for download. 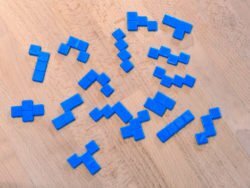 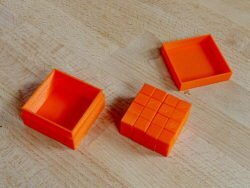 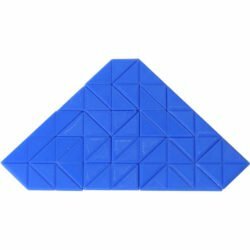 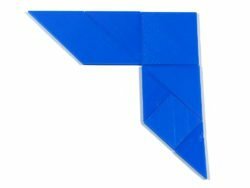 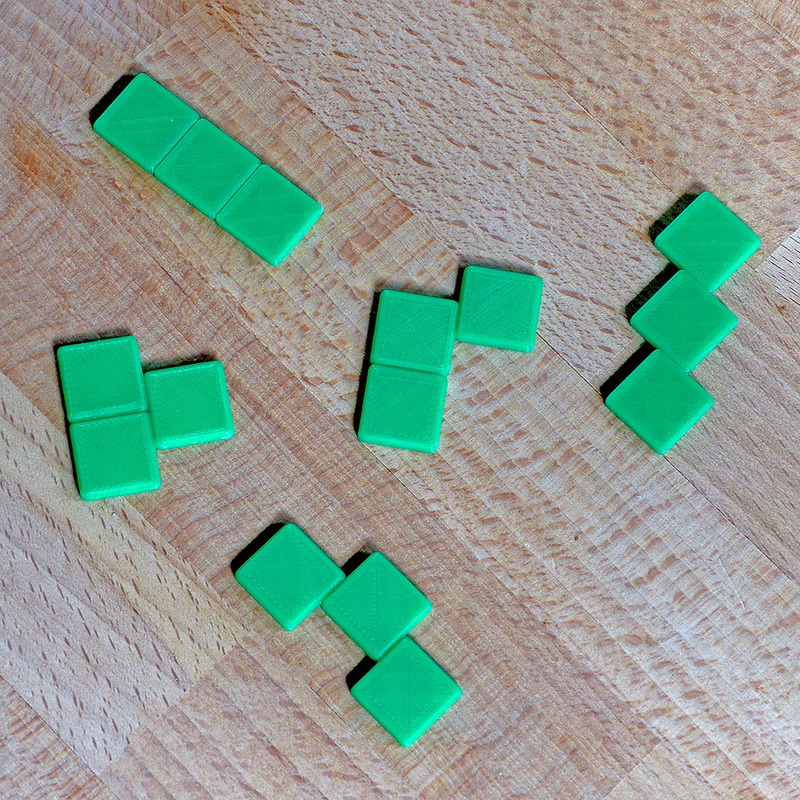 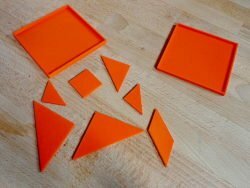 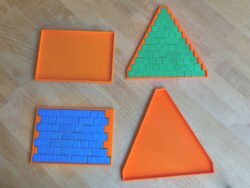 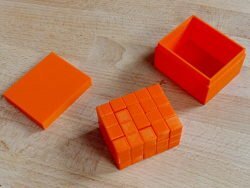 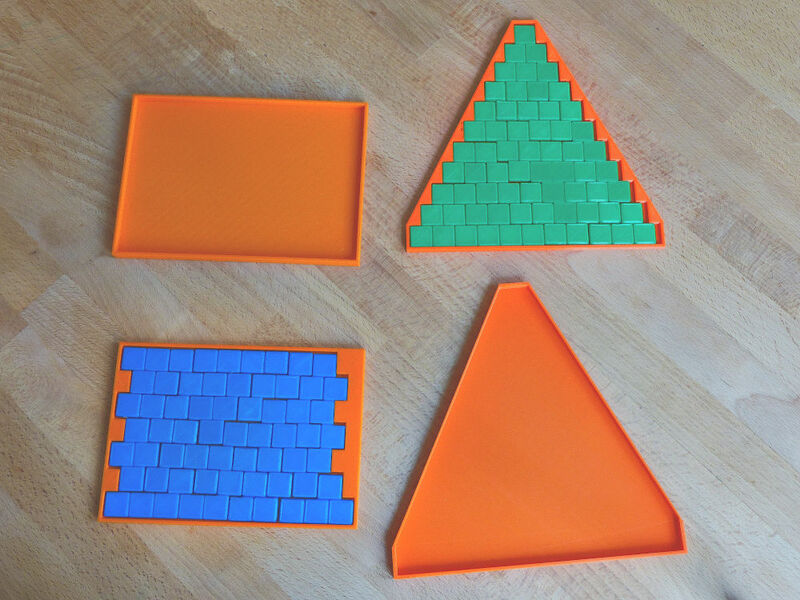 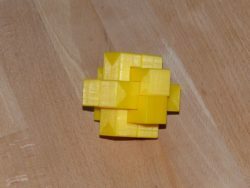 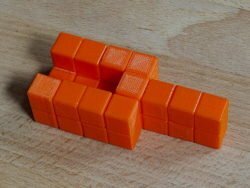 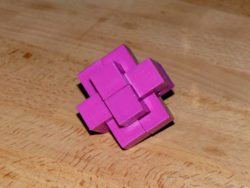 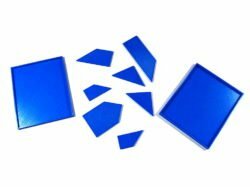 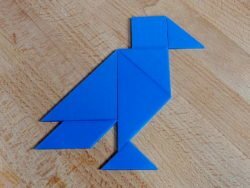 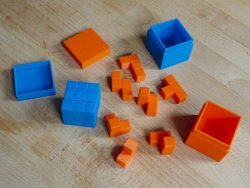 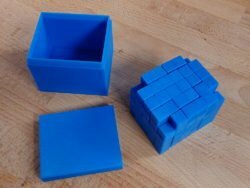 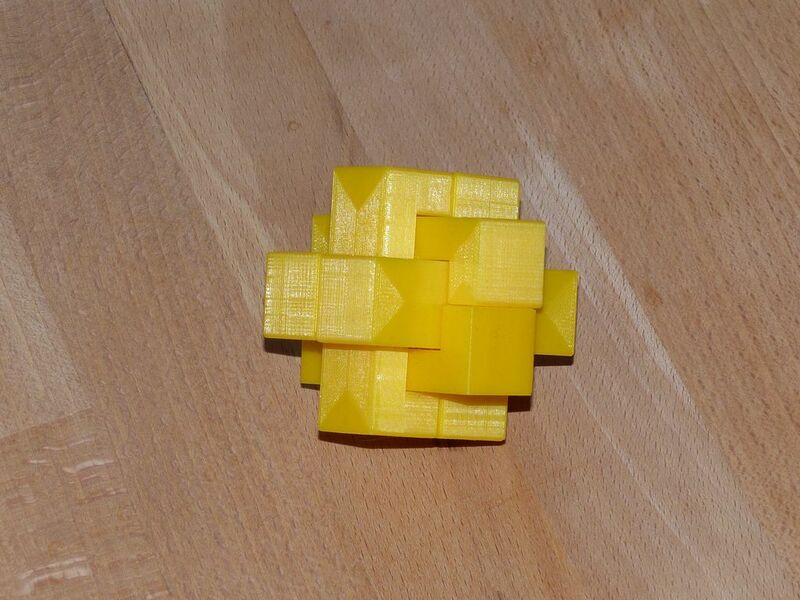 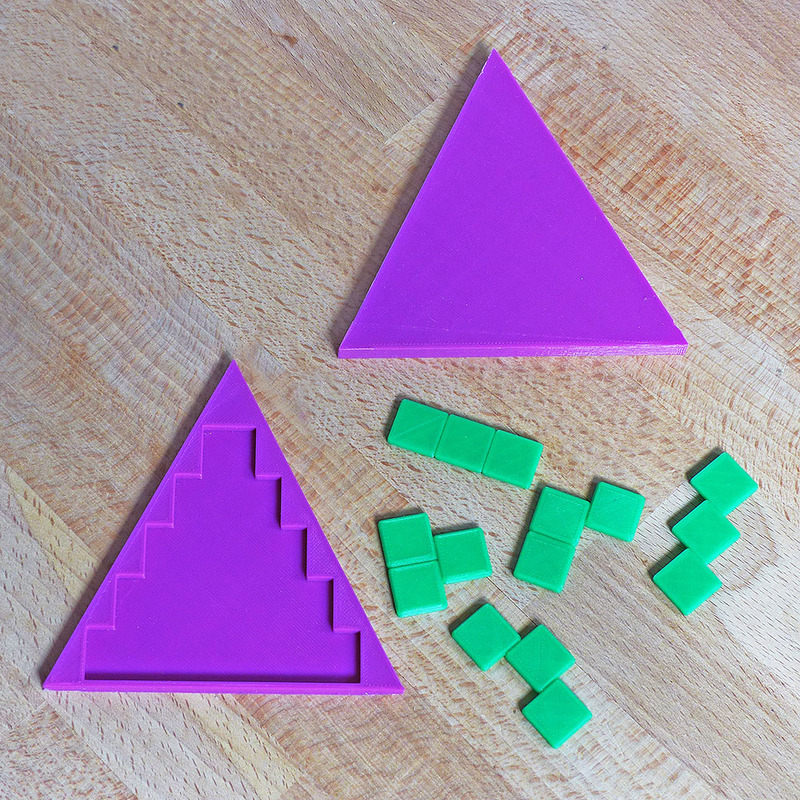 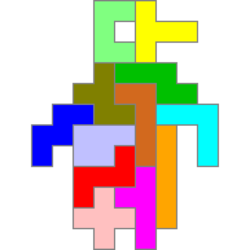 The reference to this 3D puzzle comes from Albert Weiss. 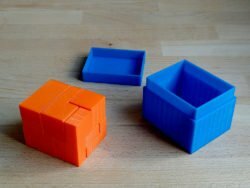 He published a very nice solution video on Youtube.